"Have kitchen for cooking and beautiful view!" Have a question for Chalet Fuyuri? "The owner is friendly and the house is clean with all the necessary facilities." "This place is very well-equipped, clean with very serene environment." "The staff is very friendly and able to converse in English." 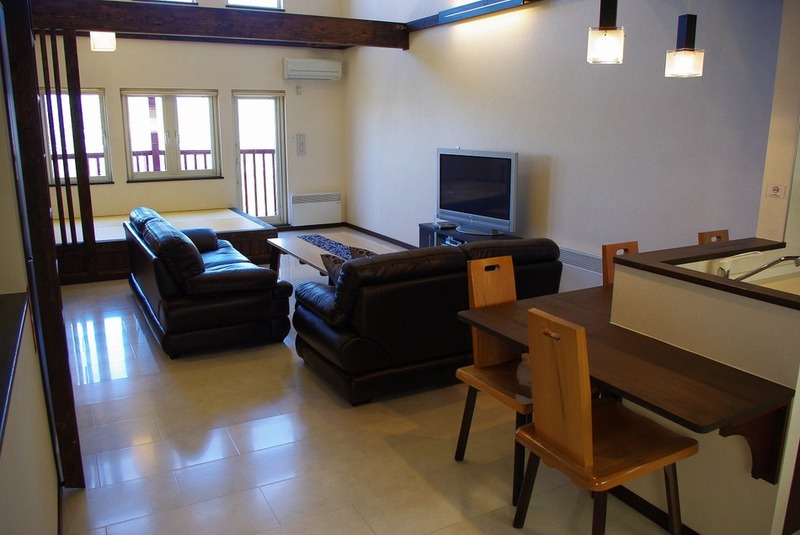 "Place is excellent, 2 bedrooms, with a great view and full k..."
Offering quality accommodations in the family fun, skiing, sightseeing district of Furano / Biei, Chalet Fuyuri is a popular pick for both business and leisure travelers. The excitement of the city center is only 3km away. No less exceptional is the hotel's easy access to the city's myriad attractions and landmarks, such as Garden of Wind, Furano Wine House, Furanonishi Hospital. Chalet Fuyuri offers impeccable service and all the essential amenities to invigorate travelers. This hotel offers numerous on-site facilities to satisfy even the most discerning guest. Hotel accommodations have been carefully appointed to the highest degree of comfort and convenience. In some of the rooms, guests can find television LCD/plasma screen, internet access – wireless (complimentary), non smoking rooms, air conditioning, heating. The hotel offers wonderful recreational facilities such as garden to make your stay truly unforgettable. Enjoy unparalleled services and a truly prestigious address at the Chalet Fuyuri. Check-in is between 03:00 PM and 08:00 PM. Guests arriving outside the mentioned check-in hours are requested to contact the property directly prior to arrival so alternative arrangements can be made. The type of existing bed are unchangeable. Within the capacity of the room, all guests are considered as adults regardless of age. 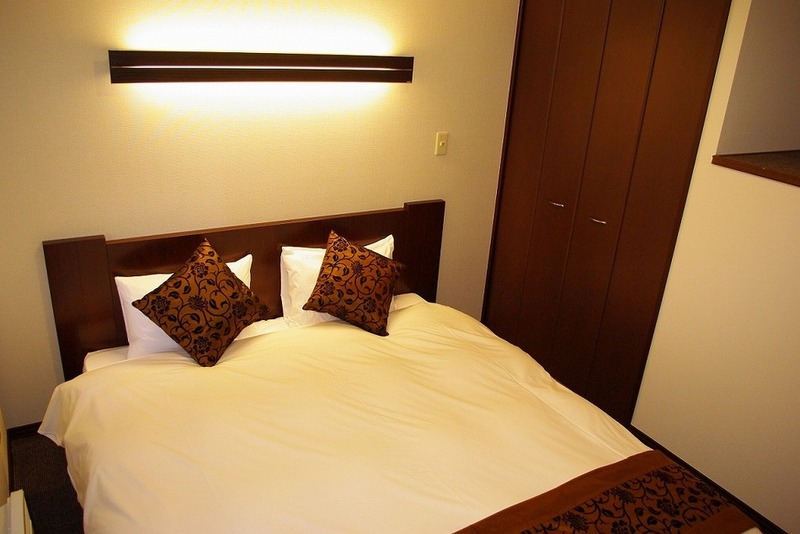 If you need an extra Japanese futon, there will be an extra charge of 3,780 JPY per person per night. Children aged 5 or below can stay for free if using the existing bedding. 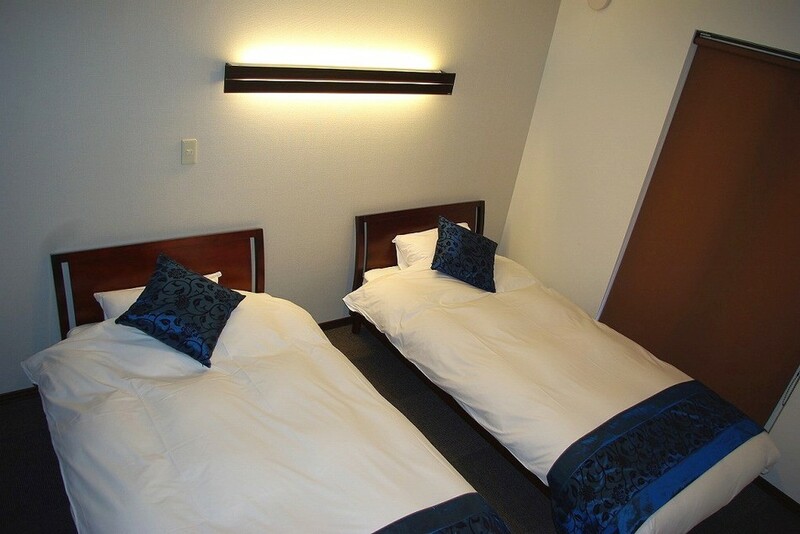 However if you need an extra Japanese futon, there will be an extra charge of 3,780 JPY per person per night. Any guests aged over 6 years old must use an extra bed. If you need an extra bed, please contact the hotel before check-in date, otherwise the hotel would not be able to accept extra person staying. Please write down the number of extra person in the special request form. Maximum occupancy for each room includes number of children. If the number of guest exceeds the maximum occupancy, the hotel does not allow to stay regardless of the age of the person. Extra bed charge must be paid directly to the hotel. Map code is 450 058 202. You can have everything in this house. It's very suitable house for a family with kids. If you can wake up early enough, you can enjoy the beautiful sun rise scenery :) The only bad thing is the location is difficult to find even with a GPS that we spent around 20mins to locate this hotel >< We were a bit terrified when the GPS lead us to a place like construction site. Whatever, we had a good stay here. Big place, nice kitchen, beautiful scenery. Good day! Thank you for staying with us! We appreciate your feedback. We are looking forward to seeing you again. Thank you very much! Highly recommend for small families looking for privacy. Stunning views overlooking Furano city. Very cozy apartment with advanced facilities (especially for free use of laundry machine combining cleaning and drying). Enjoy cooking with comprehensive utensils provided. The host is also very nice and helpful. This place is more of a serviced apartment than a hotel or guesthouse. Fully equipped with full function kitchen, washer and dryer but the location is not very convenience for public transport though, you'd better drive. Great View!!! This was the best apartment we stayed in the Hokkaido. It's very spacious and no problem at all to accommodate 6-8 person. The owner is very friendly. We even had our self make steam boat there. This apartment is located at hill and you can have very fantastic view during the stay. Strongly recommend for the family holiday or group traveler. Excellent!! (If you are driving) Location is a bit hard to find and map code is a must, I cannot use phone number to access my GPS. The room is like new, everything is well build. New living room, kitchen and bath. Very detail minded and you have everything you want there. nice view if you like sun rise. If you are driving, it is not far to the city centre and actually it is quite close to the ski resort. Yes, the price is a bit costly, but the quality of this condo is very high. Highly recommended. 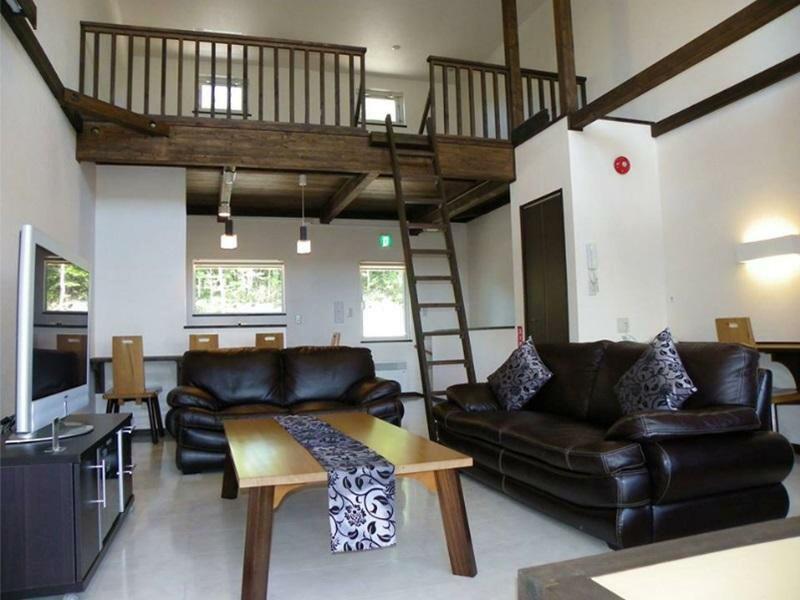 I Must say anyone going to Furano, This is a Must stay Chalet in Furano, Fantastic Sunrise view at 6am and Room its spacious and you can cook anything you want in your room, Cooking oil, washing powder and kitchenette facilities provided. Great living Hall, Big TV, and great Hospitality! and its also Near one of the SKIING station, by walking distance around 8 mins.... Its Exactly same like in their picture! Im going back again!...but remember to rent a car to go there! easy to find with their place with GPS map code navigation! Thank you FUYURI! It's a good place for families especially with young children. Spacious and with good facilities. The staff provided toys to our son so he can play by himself while my husband and I were busy packing our luggage. I strongly recommend Chalet Fuyuri to families traveling with kids. Free wifi can be provided but there was a problem with the wifi access in our unit on the second day. This hotel is like a serviced apartment since we booked 2-bedroom and it was like the whole house for us. 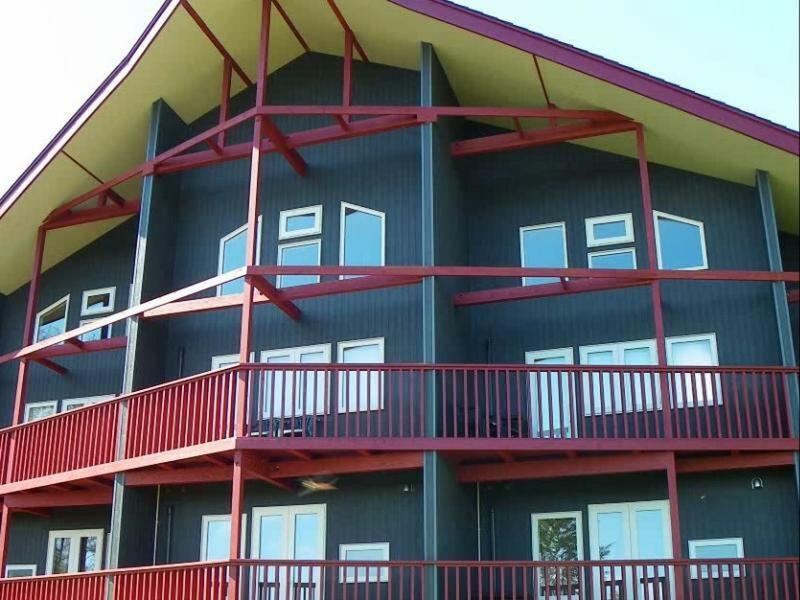 2 bedrooms and a spacious living room with kitchen, fridge, microwave, kitchen amenities. It's good for a long stay if you are coming for ski for many days. The hotel location is a bit tricky as we didn't put in their map code but we put in its telephone number and we were lost. The best way is to put in their map code in your GPS if you drive. However, the hotel is not far from city center, just 10-15 minutes away. The female staff was very friendly and she brought us many toys for our baby to play with. The room is clean and comfy. I will definitely stay at this hotel next time we come to Furano. I booked a 2 bedroom cottage this time with pantry inside. I found the room was very clean, queit and well equipped. We used the pantry to cook dinner and breakfast. The cottage is located near to the ski course, and there are some very good restaurant around. I will re-visit it again during the ski season. We stayed for one night. At almost SGD300 a night, it was certainly expensive but we had not many options considering it was a last minute booking. However we were not disappointed by the quality of the accommodation. It was situated in a rather secluded area and initially I was doubtful when driving into the place, but when we reached there it was situated on a cosy elevated ledge with a picturesque view of the town below. The wooden cabins has character and were well built, with modern facilities inside (including a luxurious toilet). Area was spotless as well. We really enjoyed our last night in Japan there, though we would have hesitated to stay longer in view of the cost. The owner is friendly and the house is clean with all the necessary facilities. You can see the night view from the balcony. there are 5 parking lots, so i would guess there are only 5 chalets available. we rented a 2 bedroom suite, it is a 2-floor accomodation. there are warmers in every bedroom and living room. very spacious and bit overpriced. We were in a group of four so we got a 2bedroom apartment. 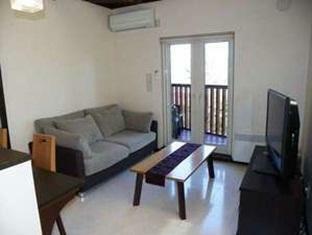 The apartment was spacious with many facilities such as kitchen and washing machine etc. The apartment was very clean and tidy and the staffs were helpful. The only problem is the hotel is far (and you need to climb up the hill) from city centre. Of course, it will not be a problem if you are driving. The hotel is wonderful, with big dining room, kitchen, washing machine, tatami, balcony. However the location is not that good, easy to find but quite hard to access, you must drive in order to get there! A big house with two rooms on ground floor and living room on upper floor. Have balcony, very clean and silent. Kitchenwares are available for cooking. Location not easy to find as telephone cannot search in GPS. Spacious chalet type accommodation. Looked brand new. Very clean and comfortable. This is one of our stop in a road-trip. Location is a mere 5-10min from town but town is pretty dead in October anyway. Host is friendly and gives a thorough introduction of the facilities in the house. I love the bathroom, large and clean.